Livwell bvba was established in 2006 because many people are looking for a desk chair that is really capable of reducing or avoiding back pain. However, only passive desk chairs were found in the market. These do not stimulate your body to respond to a collapse. The people’s bodies are sagging and this causes problems in the neck and back. That is the reason why Hans and Hilde felt the need to look for a desk chair that is really helping to reduce back pain. It is quite logical: the more you move, the less problems you have. This means a truly active chair really helps. 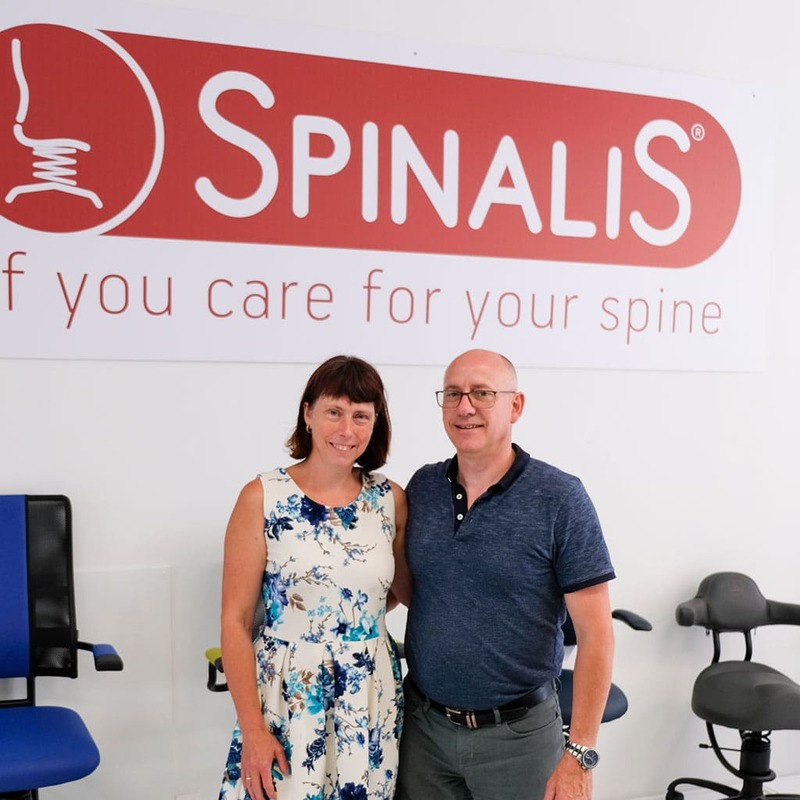 SpinaliS chairs activate your muscles making you collapse less and therefore suffer less pain. This is our basis. It is not just about sitting better, but also about working healthier. Our company has also grown significantly in the field of “dynamic working“. Combine your SpinaliS chair with a sit-down/stand-up table and move regularly. That is the way to avoid discomforts and back pain. Livwell bvba is able to deliver all the solutions in this area. Make an appointment and visit us to test the chairs. You are more than welcome. Hans De Keersmaecker, industrial engineer, is responsible for sales, quotations, deliveries, ergonomic demos and after sales service. It’s my pleasure to help you. Hilde Cools, industrial engineer, is responsible for the sales department, the planning, the organization of the deliveries and the telephone service. When you call, you get her on the phone.